Keeps delicate berries fresh longer! 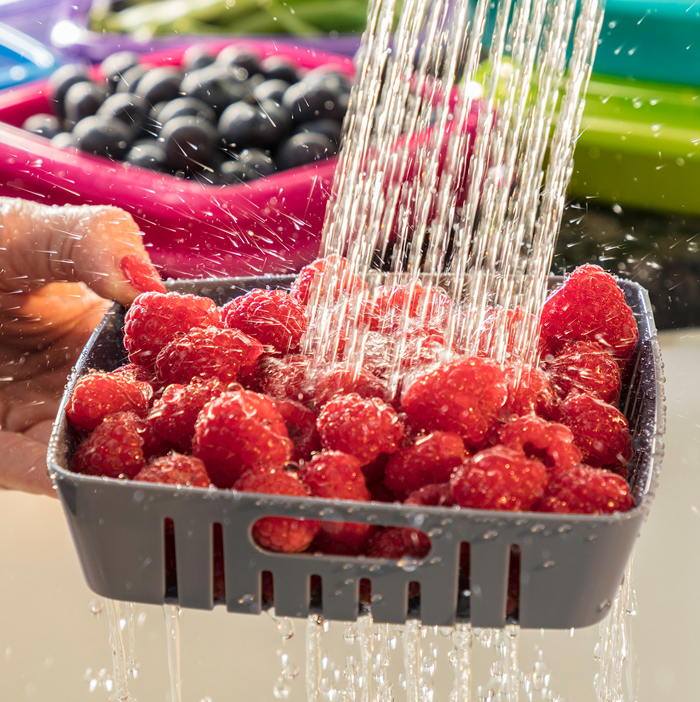 Wash your berries in advance and store them in the refrigerator so that they are ready to eat whenever you want. When serving, those berries at the bottom will be just as fresh as those on the top. The Bitty Berry Box is the smallest of our berry keepers. It stacks easily with all sizes in the fridge. 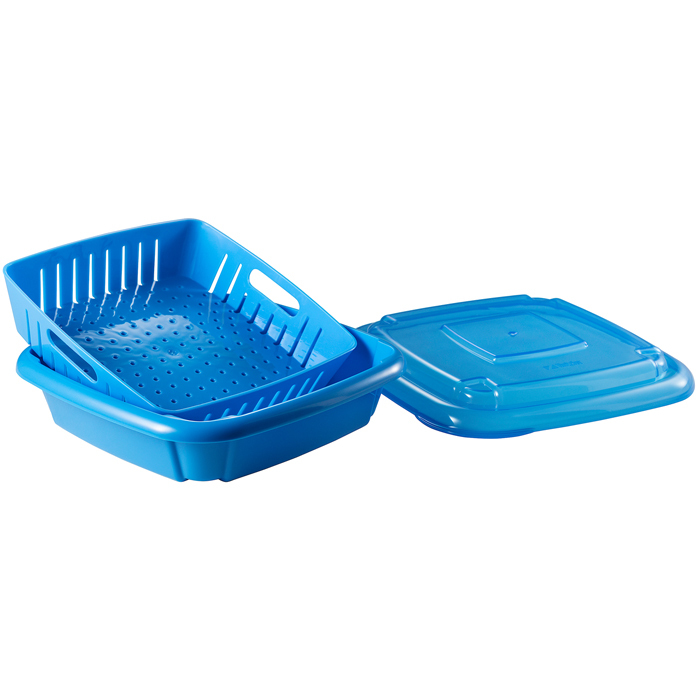 Colander for washing & draining. Colander fits right inside the box, allowing excess water to continually drain. Colander may be used separately. 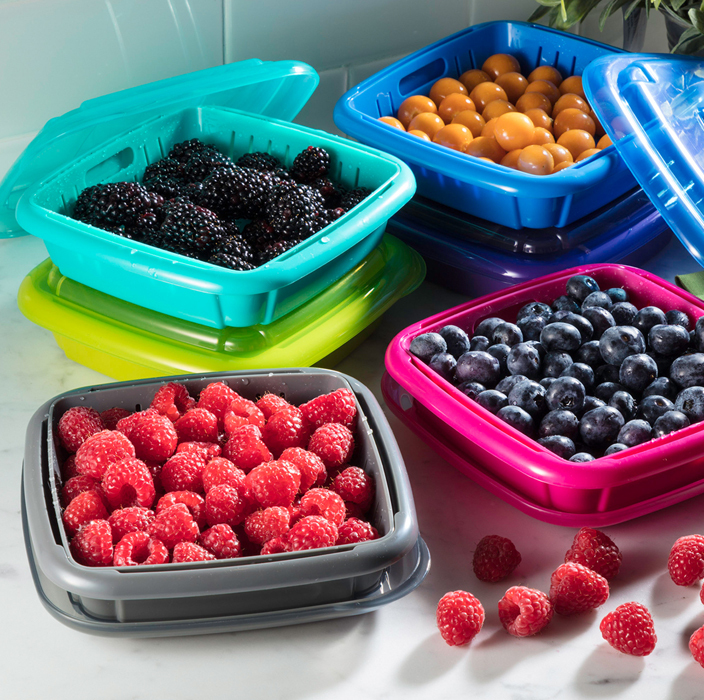 Lid for the refrigerator to stores fruits at the ideal humidity, helping fruits last longer. 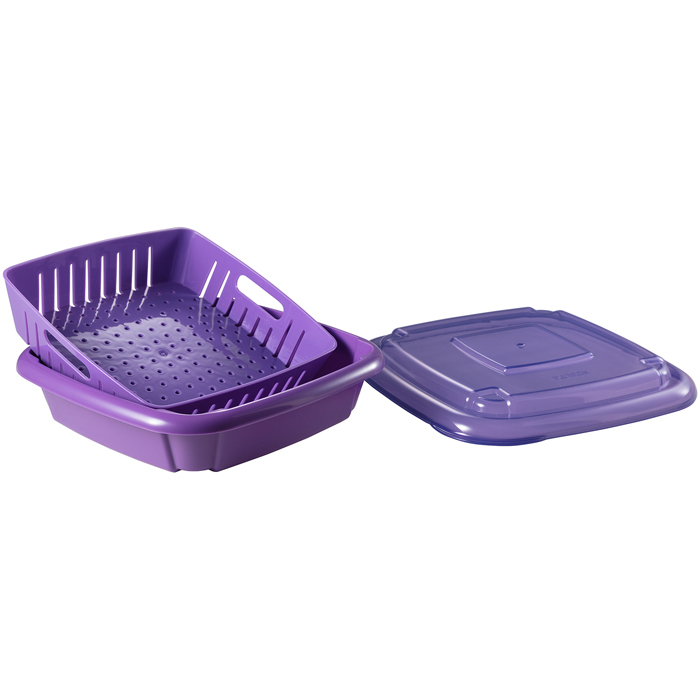 Ideal for blueberries, raspberries, blackberries, gooseberries, currants, and kumquats, etc.